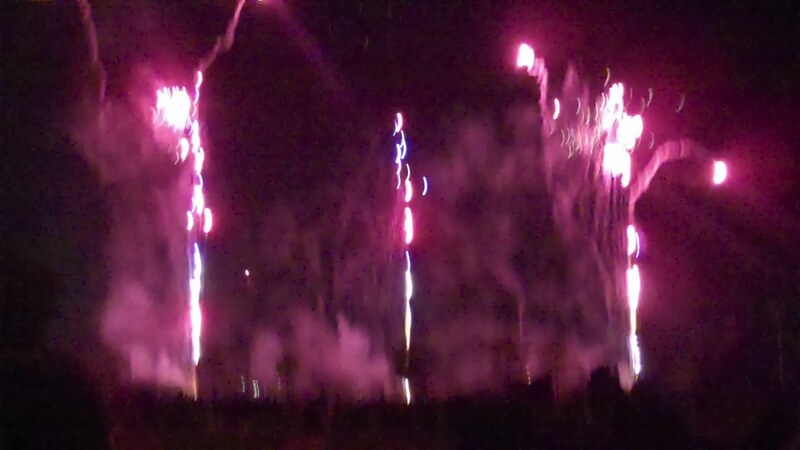 I hope you all had a happy 4th of July! My house is half way packed up, so this is the only decoration I had out. This is what my house looked like last year. I haven't done a belly pic in a while and it's GIANT! I never know how big it is until I see it in a picture! Blue wanted in on the action too. Yesterday we went to church, worked on the new house a tiny bit, then cooked out at my brother-in-law's house. 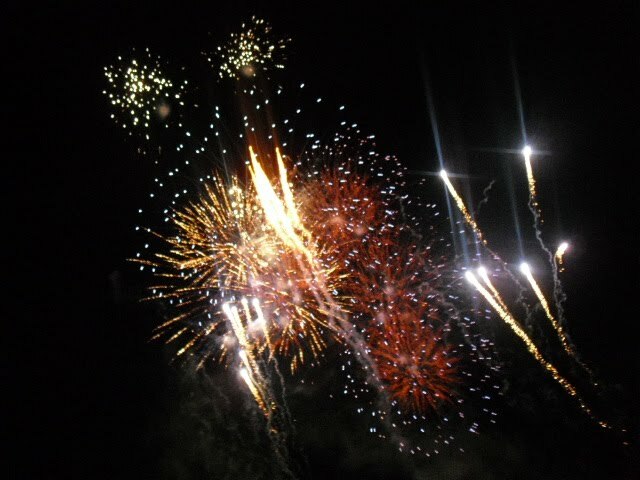 I was already wondering who could watch Katie next year so we can go see fireworks. 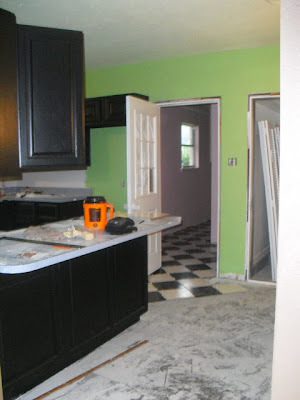 The black and white tile got started. Marcus has started working on the wood floors too. And we ordered carpet today for the bedrooms and it will be installed Wednesday. So everything is just partially done, nothing totally finished yet! Hey girl lost your email and I have been meaning to give you a shout!! The house is looking great, I get so excited when I see your posts pop up on my google reader! Send me a message I want to get Kate something in the mail from my store. 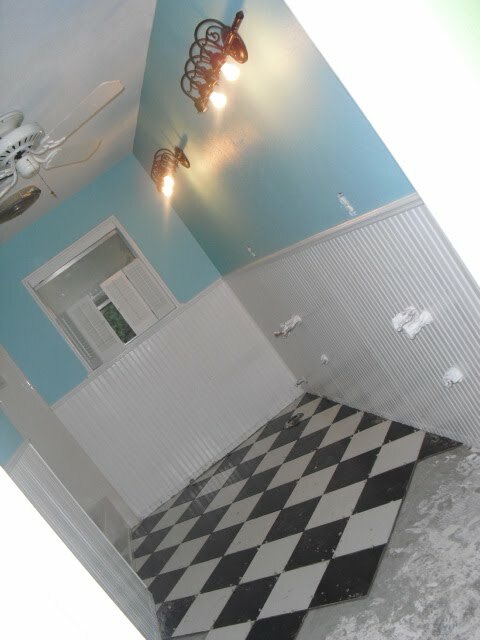 LOVE the black and white tile. We had black and white marble in my house growing up and it's so unique looking. I love your unique style! And I LOVE the light fixtures in the blue room (bathroom?) ! So gorgeous! Have a great week! Looking so forward to more updates on the new house, and baby Katie, too! 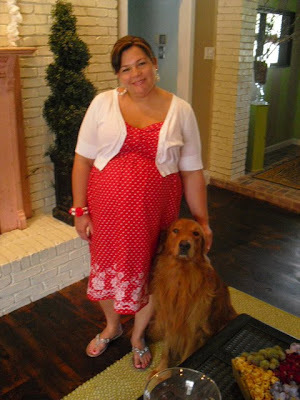 Lookin good Dina......and goodness, the house is really coming along. I love getting updates on the house progress, I wish I was that good about posting with our house redo's and such...just haven't been in the mood. Can't wait to see the complete before and afters! I love how you aren't afraid of color! I just painted my kids' bathroom cabinets green because of you! It was my attempt at color fabulous! Ha! 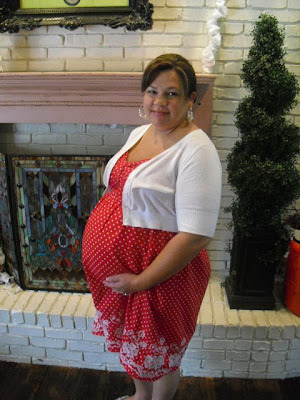 Now please promise you will keep up the blogging after the baby is born. Love the new house...you are so good with color. 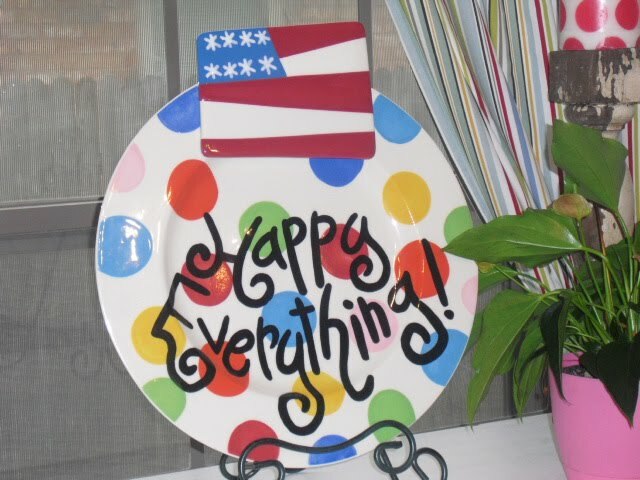 Where did you get your "Happy Everything" plate? I'd love to find one. THanks and can't wait to see your little Katie. The plate is made by coton colors pottery. I got mine at a local store, but you can buy them online too!